Sambar vada - easy and tasty homemade sambar vada with simple cooking methods. For this Diwali, we prepared a lot of medhu vada and sambar for morning breakfast. 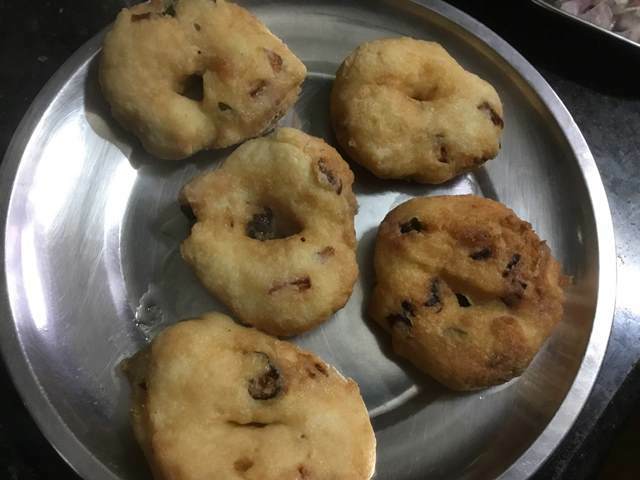 In the evening, my husband came into the kitchen and quickly prepared a tasty sambar vada for us with the leftover sambar and vadas within 15 minutes. Everyone was so happy with the tasty sambar vada and we were not able to stop at just one vada. Before that, I haven't prepared sambar vada. After a week, I prepared this sambar vada and it came out really well. 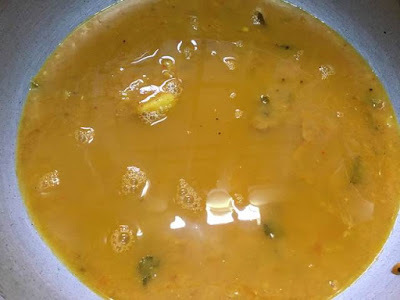 The recipe for the sambar is same as the tiffin sambar recipe posted early this year. The only change in the tiffin sambar recipe is that I have added toor dal instead of moong dal because moong dal will be thick for sambar vada. 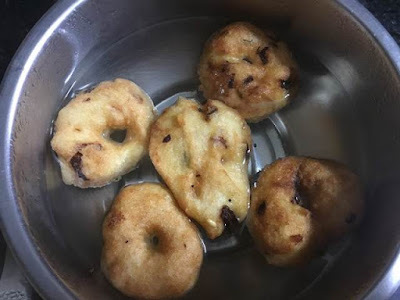 The fried medhu vadas are soaked in the warm water for 10 minutes and then added in the hot sambar. The tiffin sambar can be made ahead of time and refrigerated. 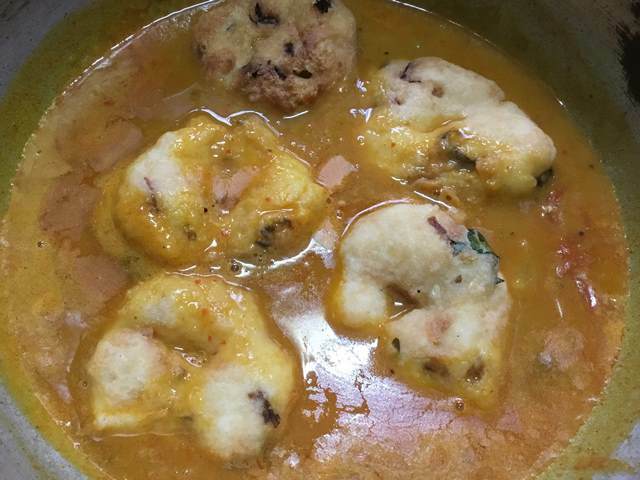 Just warm the sambar in a broad pan or kadai to soak the vadas. 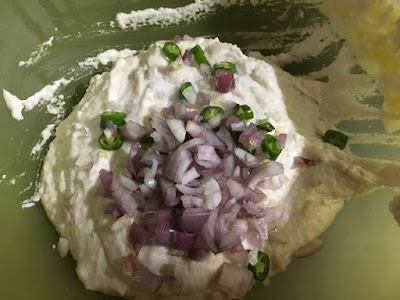 For vadas I have added few onions and green chillies. Just before serving, a handful of finely chopped onions are garnished on the top of the sambar vadas. Take a wide bowl and add urid dal. Rinse the dal for 2 to 3 times and soak it with 8 cups of water for 4 hours. After 4 hours, drain the water completely using a strainer. Wash the wet grinder and add the soaked urid dals to it. Grind the dals well. Grind the batter for 15 minutes. Grind it nicely and thickly. 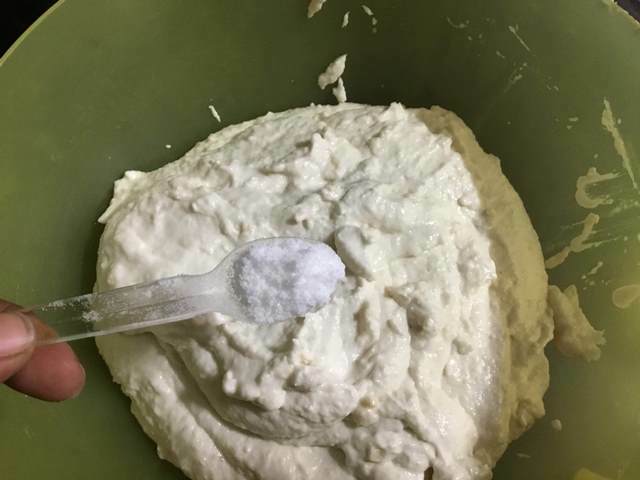 Now carefully transfer the batter to the mixing bowl. It is easy to transfer them while grinding.Now add required salt. Next add the chopped onions, green chillies and curry leaves. Mix them well with your hands. Heat the oil in a kadai on medium flame. Dip your right palm in water and take a big lemon sized ball. Roll it for a few seconds and flat them and put a small hole using your thumb finger. Drop them in the oil. Do the same procedure for the remaining batter. 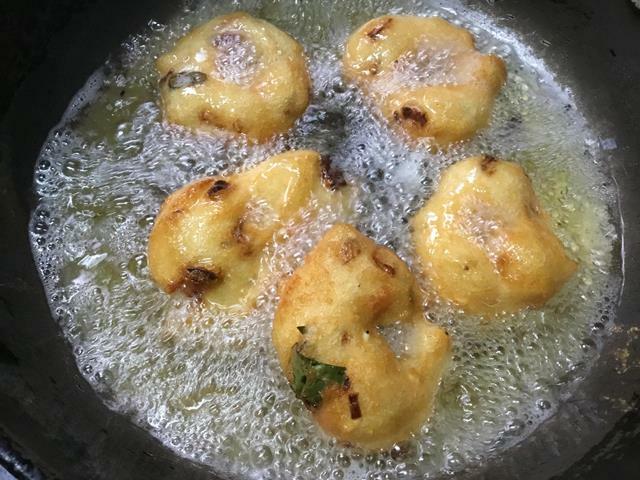 After a few minutes, gently flip the vadas and fry them until crisp on both sides. In the meantime, add the tiffin sambar and heat it for 5 to 7 minutes. Boil 2 cups of water in a wide vessel. Now add the deep fried vadas in this warm water. After 2 minutes, flip the vadas and gently press the vadas. Now add the soaked and drained vadas to the tiffin sambar. Mix them gently and flip the vadas after 5 minutes. Close it with the lid for 10 minutes. Transfer it to the serving dish. 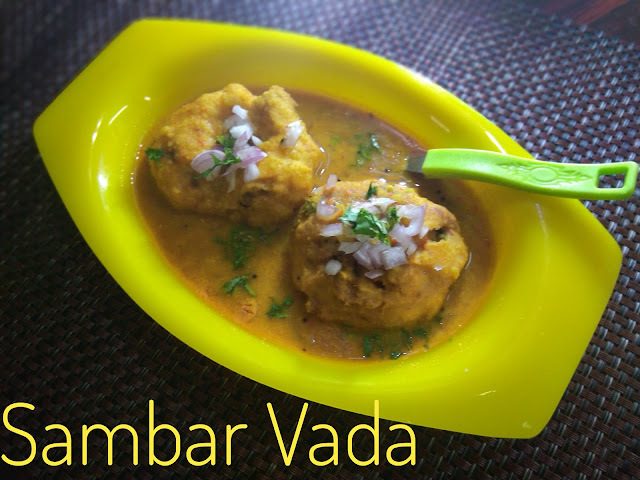 Pour some more sambar over the vada and garnish with chopped onions and coriander leaves. 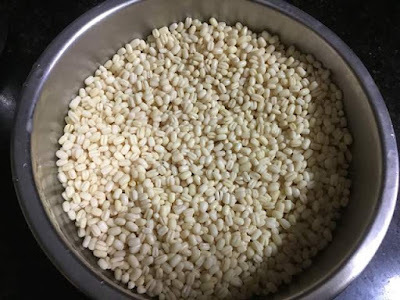 Take a wide bowl and add urid dal. 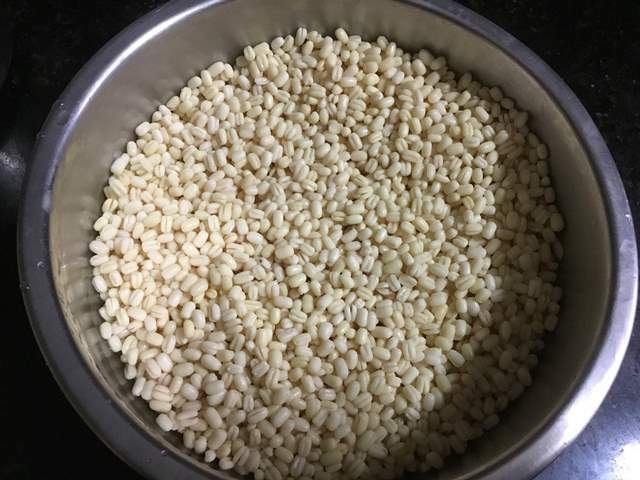 Rinse the dal for 2 to 3 times and soak it with 8 cups of water for 4 hours. After 4 hours drain the water completely using a strainer. Wash the wet grinder and add the soaked urid dals to it. Grind the dals well. 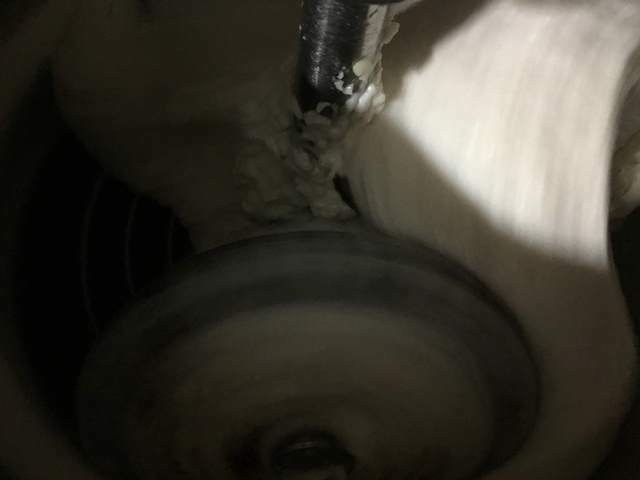 Sprinkle water while grinding and scrape the sides of the drum and grind it well. 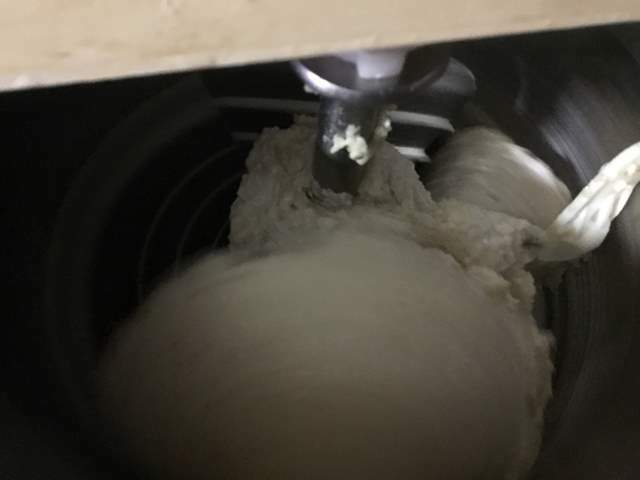 Grind the batter for 15 minutes. Grind it nicely and thickly. Take a bowl of water and drop some ground batter. It should float it on the water. Now carefully transfer the batter to the mixing bowl. It is easy to transfer them while grinding. (Be careful if you do not have experience then switch off the grinder and transfer them to the bowl). Add the required salt. Next add the chopped onions, green chillies and curry leaves. Mix them well with your hands. Heat the oil on a kadai on medium flame. Dip your right palm in water and take a big lemon sized ball. Roll it for a few seconds and flat them and put a small hole using your thumb finger. Drop them in the oil. Do the same procedure for the remaining batter. After few minutes, gently flip the and fry them until crisp on both sides. Boil 2 cups of water in a wide vessel. Now add the deep fried vadas in this warm water. 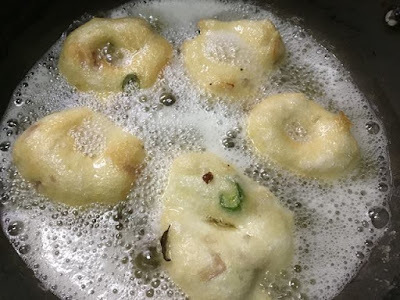 After 2 minutes, flip the vadas and gently press the vadas. In the meantime, add some tiffin sambar and heat it for 5 to 7 minutes. Now add the soaked and 5 to 6 drained vadas to the tiffin sambar. Mix them gently and flip the vadas after 5 minutes. Close it with the lid for 10 minutes. For every batch heat some sambar and add 5 vadas and allow it to soak for 10 minutes. Repeat the process for the remaining vadas. Transfer it to the serving dish. 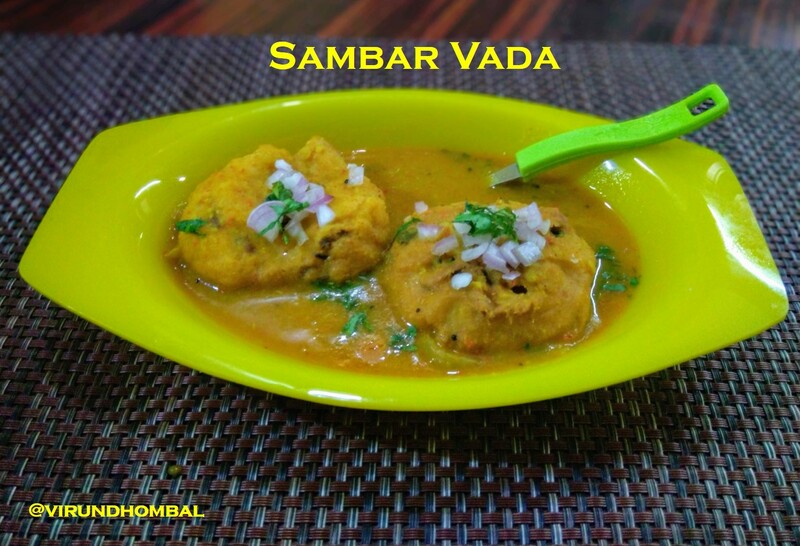 Pour some more sambar over the vada and garnish with chopped onions and coriander leaves. Serve it hot.